Sam Siligato was a friend and business associate of Kellyanne Conway's grandfather, Jimmy "The Brute" DiNatale. Siligato drove two important members of the mob to DiNatale's funeral in May 1983. Philip “Crazy Phil” Leonetti, a convicted killer and onetime underboss of the Philadelphia-area mob family, attended the funeral of Kellyanne Conway's grandfather, mob associate Jimmy “The Brute’ DiNatale in early May 1983. Recently, Leonetti confirmed to PhillyVoice he and his friend, Lawrence "Yogi" Merlino, also a convicted killer who was at one time a capo in the crime family, went to the funeral of Conway’s grandfather in Hammonton, Atlantic County. The reason they were there? DiNatale was a "friend." Hammonton resident Sam Siligato, long labeled a mob associate by law enforcement, drove Leonetti and Merlino to the Hammonton funeral home which oversaw DiNatale's funeral. Siligato said so himself, talking about it in detail during a recent two-hour interview with PhillyVoice. Siligato's longtime friend, DiNatale, was also labeled an organized crime associate by law enforcement, though apparently never been charged or convicted of any crimes – unlike Siligato. Once in Hammonton, Siligato, Merlino and Leonetti met many other members of the Bruno/Scarfo crime family at the funeral, too, recalled Siligato. The only key figure missing was the organization's boss and namesake: Nicodemo "Nicky" Scarfo, who was locked up on a federal gun charge when Conway's grandfather died of cancer. But the rest of the wiseguys came to Hammonton to pay respects to Conway and her large extended family, said Siligato, because DiNatale had a long and lucrative business relationship with the mob. Conway was 16 years old when her grandfather died. A pollster and lawyer, the South Jersey native ran President Donald Trump's winning campaign last fall. Conway serves as counselor to the president and has been a lightning-rod for controversy, often accused to peddling false narratives – "alternate facts." Conway never speaks of "The Brute" when sketching out her backstory of growing up in South Jersey. Conway, who owns a summer home in Ventnor and began her Memorial Day weekend with a visit to Jerry Blavat's Memories in Margate according to an Instagram post, did not respond to several requests for comment about this story. Conway's mother, Denise Fitzpatrick, an Atco, Camden County resident, acknowledged her father's association with the mob in a Daily Mail story. Fitzpatrick, who still owns the Waterford Township, Camden County home where she raised Conway, did not respond to a request for comment. "Yeah, he did business with the mob, but so did the Teamsters,” said Siligato of DiNatale. Siligato admits he, too, did business with the mob. DiNatale is mentioned 26 times in the 1992 New Jersey Organized Crime Commission report. "A blind man could see there was some kind of connection," explained Siligato of the show of respect paid to the DiNatale family by the mafia. Leonetti, who was freed from prison after testifying against friends and family in the mob, now lives in another region of the country under an assumed name. He spoke with PhillyVoice through a liaison. 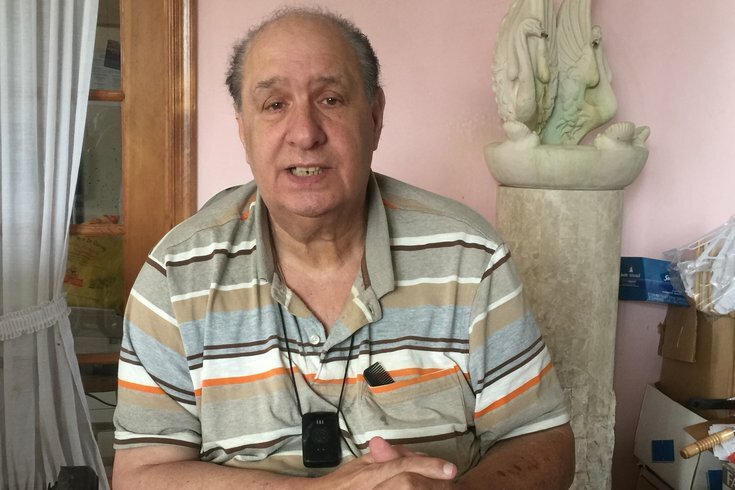 Veteran mob reporter George Anastasia said Merlino and Leonetti's attendance at the funeral of a top mob associate, such as Conway's grandfather, was completely in line with how the Philadelphia/South Jersey mob behaved back in the early 1980s. “They would have been there,” explained Anastasia, who sometimes writes about organized crime for PhillyVoice. A retired law enforcement official who specialized in organized crime and was directly involved with investigations of Scarfo, likewise said Scarfo would assuredly have attended DiNatale's funeral if he hadn't been in federal prison in Texas. Scarfo died in January. At the time of the funeral, Leonetti was the message-bearer for his uncle, visiting and relaying his orders. After Scarfo was released, Leonetti became the underboss of the organization. A capo, or captain, Leonetti has admitted to killing 10 men. 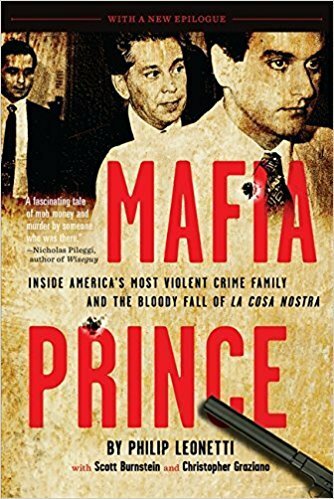 Convicted and sentenced to 45 years in 1989, he took a deal, testified, and went into hiding, publishing a book, “Mafia Prince” in 2013. Merlino, who eventually became a capo in the crime family, also was convicted and flipped, joining a witness protection program. The uncle of mob boss Joey “Skinny Joey” Merlino, he died in 2001 of natural causes. On that day in May 1983 when Leonetti and Merlino drove the 30 miles west to Hammonton from Atlantic City to pay their respects, they pulled over and stopped just after exiting the Atlantic City Expressway, recalled Siligato. Philip 'Crazy Phil' Leonetti, Nicodemo 'Little Nicky' Scarfo and Lawrence 'Yogi' Merlino are pictured on Leonetti's book,”Mafia Prince. They called Siligato, a lifelong Hammonton resident. Siligato was soon at the mobsters’ car. He drove them to Carnesale Funeral Home at 202 S. Third St. in New Jersey’s blueberry capital, Hammonton. Both Leonetti and Merlino were on their way up in the crime family when Siligato chauffeured them to DiNatale’s funeral. After serving as mob foot soldiers in Atlantic City, Merlino and Leonetti were initiated into the organization by then-mob boss Phil Testa on June 8, 1980. They became made-men after getting away with the 1979 murder of cement contractor Vincent Falcone. Though Leonetti now admits having been the triggerman, he and his associates beat the Falcone murder rap aided by alibis provided by DiNatale and Siligato. They provided time and place alibis for the three mobsters after Falcone was whacked by Leonetti on Scarfo's orders. The hit came after Scarfo was apparently insulted by Falcone, who ran a rival cement business. To this day, Siligato claims the alibi about where and when he and DiNatale saw the three mobsters in a diner is accurate, though Leonetti and a fourth man, Joe Salerno, have both written otherwise. Salerno, who never was a member of organized crime, entered the witness protection program and had testified repeatedly against the mob following the Falcone murder. Salerno died about a year ago, of colon cancer, a law enforcement source said. Siligato told his stories of involvement with the mob and DiNatale while sitting at the dining room table of what once was the corner of his Hammonton bar, Silly Gators, long ago converted into his home. During the long interview, Siligato sat near where the jukebox once stood. That’s where Brute – that’s how Siligato generally refers to DiNatale – always sat as he ran the day-to-day operations of his businesses, legal and otherwise. Siligato first met DiNatale in 1965, explaining nonchalantly that they met over "the numbers and bootlegging business.” The men soon became friends and business associates, explained Siligato. DiNatale soon ran his businesses – some of the legal ones were bars, a car dealership, a vending company, a construction company – from Silly Gators. Both men's association with the mob goes way back. Back in the day, Siligato would drive DiNatale to Angelo Bruno’s place at the shore on Sundays. Once there, they’d eat Sunday spaghetti prepared by Sue, Bruno’s wife, said Siligato. The relationships between Siligato, DiNatale and the mob wasn’t just social: There was also business, he adds. DiNatale bought cigarettes for his vending company, Logan, from Bruno, and later from Raymond "Long John" Martorano, who worked under Bruno in the mob. After Bruno was killed in March 1980, Martorano came to directly sell smokes to DiNatale and then Siligato. Siligato eventually bought the Logan vending company from DiNatale, he said. “People do business with you because they know who he (Bruno) was and what he did,” Siligato said. At one point, the Logan operation had machines in perhaps 25 bars running from Philadelphia, through South Jersey, and along the coast to New Gretna and Mystic Islands, said Siligato. But vending was not their only work with the mob; he and DiNatale also did construction work with three members of the mob, Siligato said. Siligato met Conway's boss, President Donald Trump, in 1988, when the former Atlantic City casino owner looked into a land and business development prospect in downtown Hammonton, but nothing ever came of it. Siligato has a hometown pride in Conway's role in turning Trump's campaign around. “If it wasn’t for her, he would not be president,” he said. Siligato knew Conway’s family directly, not just through DiNatale: one of Conway’s aunts was his fourth-grade teacher, he said. His friend DiNatale got his nickname, “The Brute,” after lifting a vehicle’s engine into a pickup truck using brute force, explained Siligato. But DiNatale used the name to his advantage in his business dealings “because everyone was afraid. It helped,” explained Siligato. “He would give you the shirt off his back, but try to f***ing take it from him,” said Siligato, shaking his head no. Siligato has had brushes with the law in addition to being labeled a mob associate. Authorities tore up and greatly damaged Silly Gators and another building in a fruitless search: an informant had told law enforcement Siligato had killed two men, and, aided by DiNatale, had buried the men under two properties. No bodies were ever discovered and law enforcement caused extensive damage. He spent years under surveillance, he explained, and actually became friendly with one federal agent. In another incident, Siligato was charged with insurance fraud and witness tampering after a fire hit a building he owned and he collected an insurance payment. He served his sentence at Southern State prison in Cumberland County. “I did my time like a man,” said Siligato. But he made it clear he still holds a grudge against Leonetti for flipping and getting out of prison in five years, five months and five days by testifying against his confederates.